There are mean girls. And then there is Sophie. On the surface, she seems like any other popular girl in high school, with her perfectly brushed hair and her flawless makeup. But there’s also a certain weirdness (some might even say air-headed) quality about her that makes her comically hilarious. Over the past four seasons, actress Autumn Wendel has brilliantly brought the character of Sophie to life on the Nickelodeon telenovella-style show Every Witch Way. The series follows two rival teen witches – Emma (played by Paola Andino) and Maddie (played by Paris Smith), along with a cast of characters that includes Sophie (played by Autumn Wendel), who is part of a group of mean girls (called the Panthers). Originally from Orange County, California, Autumn began acting at a young age. By the time she was 8 years old, Autumn was signed by an agent and soon landed her first role working on an industrial (a prolonged commercial) for Toyota. Now at age 18, Autumn is proving that with her versatility and vivacity, she has what it takes to be a star. In its final season, Every Witch Way keeps getting bigger and better. With its colorful special effects and its enchanting magical spells, it has captured the imaginations of kids and entertained them with its original storylines and unique characters. Every now and then, the special effects in a scene are even more amazing than the actors expected. Though her on-screen character isn’t always nice, in real life, Autumn is anything but a mean girl. As a volunteer, she brings a smile to the faces of elementary school students for organizations like the YMCA, where she participates in after-school programs, reading to the children and helping them with arts and crafts. Autumn believes education is an important part of living a balanced life in Hollywood. In fact, many people are surprised that she enjoys math so much. In addition to her volunteer work at the YMCA, she has also helped Pardon Me Inc., a dog and cat rescue organization that seeks to help boost pet adoptions. Although it can sometimes be difficult to manage a busy schedule, Autumm finds inspiration in one of her favorite quotes. There’s no doubt that with her off-screen, girl-next-door charm and her scene stealing comedic performances, when it comes to what’s next in Hollywood – it’s time for Autumn. Every Witch Way airs nightly at 7 PM on Nickelodeon. 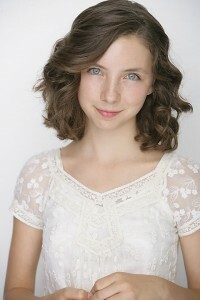 To learn more about Autumn, follow her on Twitter at twitter.com/AutumnWendel and on Instagram at instagram.com/AutumnWendel.